Why Does Jesus Talk So Much About Money? I think the point is that Jesus knew that money is a stress, it is a focus, and it can steal our peace. So he talks about it to give us freedom, life, and a new perspective. So here is a sneak peek into the big idea for Sunday. 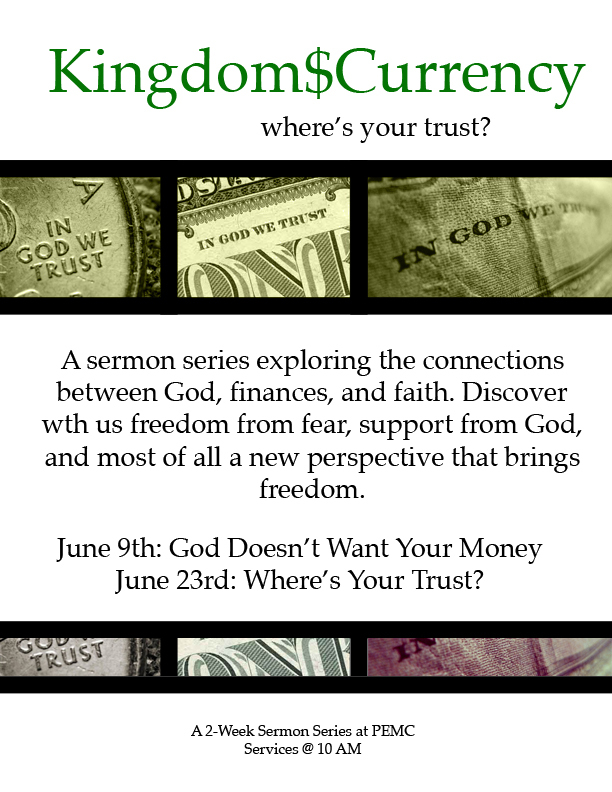 It has two parts but I’ll share the first part now: God doesn’t want your money. This is true, and on Sunday we’ll be exploring Mathew 6 to find out why that’s true. Why God isn’t really interested in your money, why we won’t be having a second offering, and why money isn’t the issue, it has something to do with our hearts.